C-A-R-D-S, CARDS! No matter what may try to stand in their path, the Louisville Cardinals find ways to pull through. As a team, they represent true brotherhood and a real passion for the game. As the 2013 National Champions, any win is a good win! They fight to the finish and they have a fanbase that supports them along the way! The road to the Final Four won’t be easy, but I’m confident that our Cardinals will bring it home again. Louisville fans are proud of Russ Smith fighting through his stomach virus, Chris Jones having a great game after losing his brother and the team for making things happen. Wednesday’s win against No. 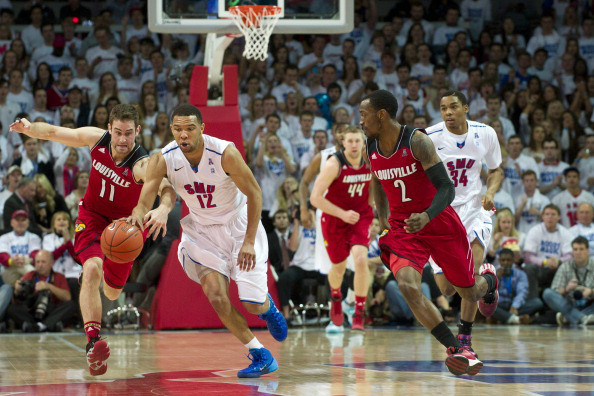 18 Southern Methodist University is added to the record. Our team always comes together during hard times. Let’s keep it up guys! Louisville Guard, Chris Smith tallied season highs of 21 points and six steals, but he had more on his mind than the win. Jones shared that 23-year-old Demetrius Ray — his stepfather’s son and his best friend — was shot and killed outside his Memphis home on Saturday afternoon while the Cardinals were playing their game at Memphis. With a heavy heart Jones says “He was there when I needed someone to talk to. We did everything together when I was home. To see him pass, the least I can do is dedicate my game and the rest of the season to him.” Chris, everyone is praying for you during this sad time! 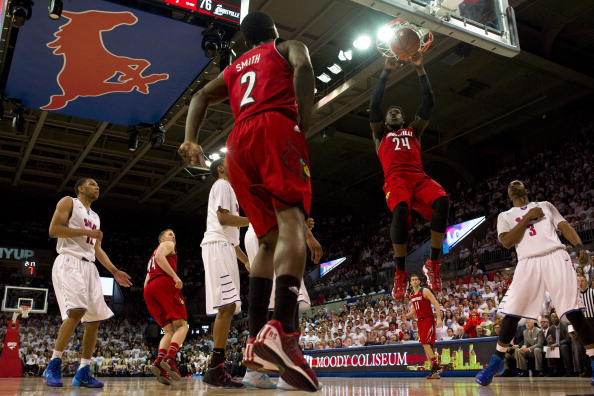 Louisville leading scorer Russ Smith was still feeling light-headed and dizzy after Wednesday night’s game. He had felt that way pretty much all day. However, he didn’t let his stomach illness slow him down. He may have had a rough first half but he managed to score 22 of his 26 points after halftime. 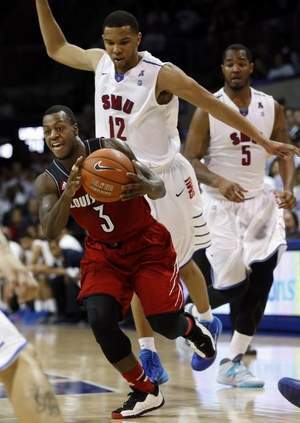 Smith hit three straight 3s right after his alley-oop pass on the go-ahead dunk by Montrezl Harrell midway through the second half for the American Athletic Conference-leading and defending national champion Cardinals (25-5, 14-3 AAC). They beat the 18th-ranked Mustangs 84-71. Just because he was making all those shots didn’t mean he was suddenly feeling better physically.